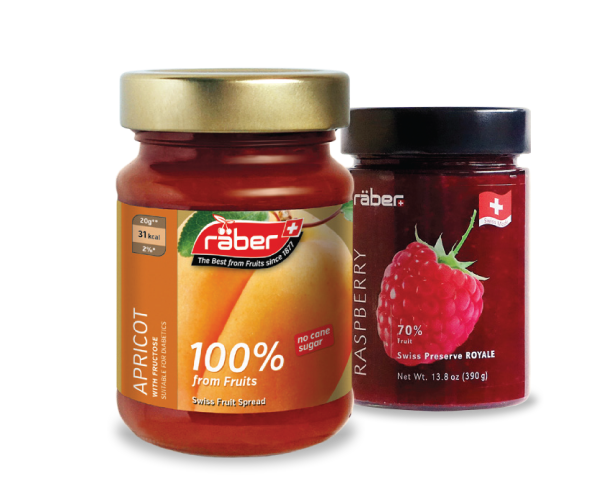 For generations, Räber, the family owned business, produces fine products from Swiss fruit. Already in 1877, the company’s fine distillates were appreciated. The traditional company now transforms regional fruit into preserves, distillates and semi-finished products for demanding customers around the globe. Swiss Preserves. A handful of juicy cherries, placed in the mouth: this is how fruit tastes its very best. To preserve some of this pleasure it is necessary to conserve the fruit with sugar. Thanks to innovative recipes, Räber has since 1985 been selling preserves that not only meet the highest standards, but which also require less sugar: a healthy trend.